2. The scope of application is wide: the task medium can be hydraulic oil. Water and most of the chemical corrosive liquids, and high reliability, long life without protection. 3. Wide input scale: For all types of pumps, the task can be bumped only with less pressure. At this time, small flow can be obtained, and different flow can be obtained by adjusting the intake. 4. Dexterity: different types of pumps can be used to obtain different pressure areas. 5. Easy to adjust: In the pressure scale of the pump, adjust the adjusting valve to adjust the intake pressure, and the corresponding input hydraulic pressure to get endless adjusting. 6. Active Pressure Maintenance: Whatever the cause of pressure drop, it will actively start up to make up for leakage pressure and maintain constant pressure in the circuit. 7. Operation safety: gas drive, no arc and spark can be used in risk situations. 8. Simple protection: Comparing with other gas drive pumps, booster pump can achieve the same task, but its parts and seals are few, and the protection is simple. 9. High performance-price ratio: booster pump is a plunger pump, the task of Deco booster pump agile to stop task, with the increase of input pressure, pump reciprocating slows down until stagnation, at this time the pump pressure is constant, energy consumption is the lowest, all components stagnate. 3. There is no rated energy consumption when the pressure is set. 4, no power supply (can be used in the category of explosion-proof). The principle of AV series and Haskel series air booster pumps for export is to use low pressure of large area piston to produce high hydraulic pressure of small area piston. The air booster pump can be used in the task environment where the original air pressure system needs to raise the low pressure. The air pressure of the task system can be increased to 2-5 times, and only the contracted air in the task system needs to be used as the air source. 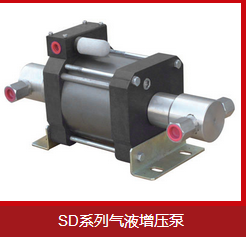 The pump is suitable for pressurization with single air source. 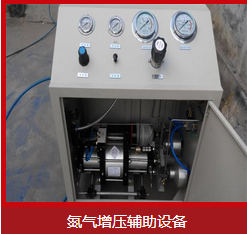 With the summary above the gas booster pump, I hope it will be helpful to our customers. If you don't understand or ask for help, please click on our official website: http://www.sdjingtuo.com or call for consultation. We will try our best to solve it for you.